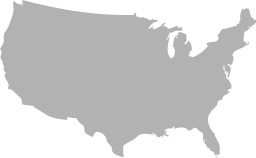 The country is still abuzz this morning with talk of Senator Rand Paul's historic nearly 13-hour filibuster. We'll be talking more about it throughout the day, sharing headlines and commentary, as well as posting hour-by-hour (unofficial) transcripts of Senator Paul's speech. While you're here, sign your "Stand with Rand" petition and take a moment to contact your senators to urge them to both "Stand with Rand" and oppose John Brennan's nomination until the administration answers Senator Paul's question of whether or not the administration can use lethal force on American citizens on U.S. soil. The cause picked up a lot of momentum yesterday, as #StandWithRand at one point was the top trending topic worldwide on twitter. Now it's up to us to keep it going! Also worth noting, of the Senators who dined with Obama yesterday, several found their way back to the Senate floor to stand with Rand, including Sens. Toomey (PA), and Johnson (WI). Notably absent from the floor, however, was Senators Graham and McCain who instead decided to bash Senator Paul's filibuster and vehemently spoke out against him on the Senate floor this morning. If you don't have time to sift through the entire filibuster and you missed it live yesterday, The Atlantic's Conor Friedersdorf (whom Rand cited repeatedly on the floor yesterday) compiled a great "cliff notes" edition to hit on the main points. 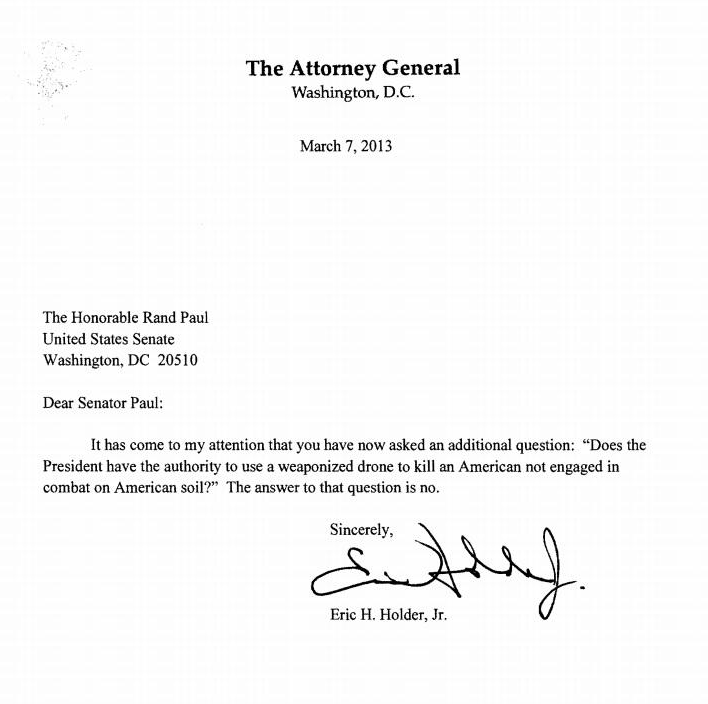 UPDATE: Rand's heroic stand yesterday finally got the response it deserved from AG Eric Holder. In a brief letter, posted below, Holder said "No," the President doesn't have authority to kill an American on U.S. soil.